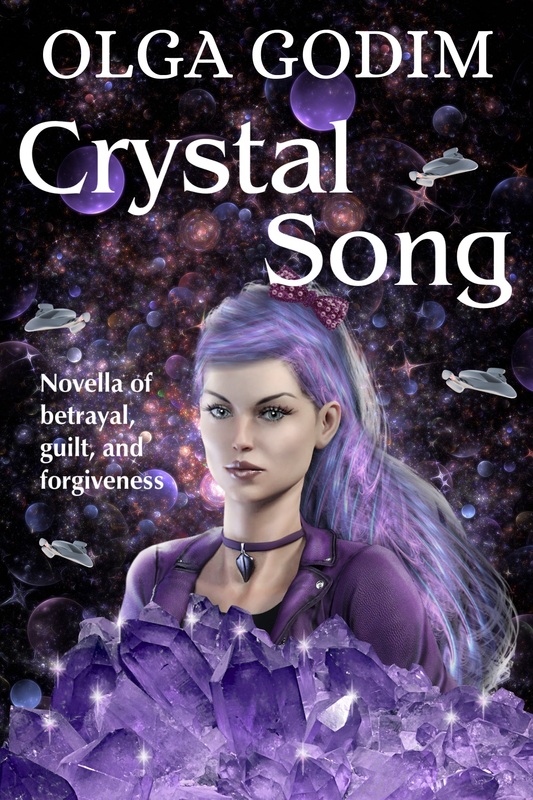 The finale chapter of my science fiction novelette Crystal Song is live on wattpad. The story protagonist, Ulira, doesn’t trust anyone. When she was 17, she had been betrayed by the person she trusted most – her brother. She had almost lost her life then, and she had lost her trust in people. Fortunately, she had escaped her home on the Hanumah Space Station and created a life for herself elsewhere. Now, thirteen years later, her brother found her again. He asks her to come back, because Hanumah and its people need her help. You could read the full story here. This entry was posted in Novella, Olga Godim, science fiction, wattpad and tagged crystal song, novella, Olga Godim, science fiction, wattpad. Bookmark the permalink.